This rugged vise is based on traditional European-style tail vises. The sliding mechanism is a three piece construction machined from Cold Rolled Steel bar stock that fit into dadoes in the bench and jaw to control parallelism. Adjustable gib on the lower slide. 1" x 5 tpi rolled acme thread screw. Typical travel length is 6-1/2". 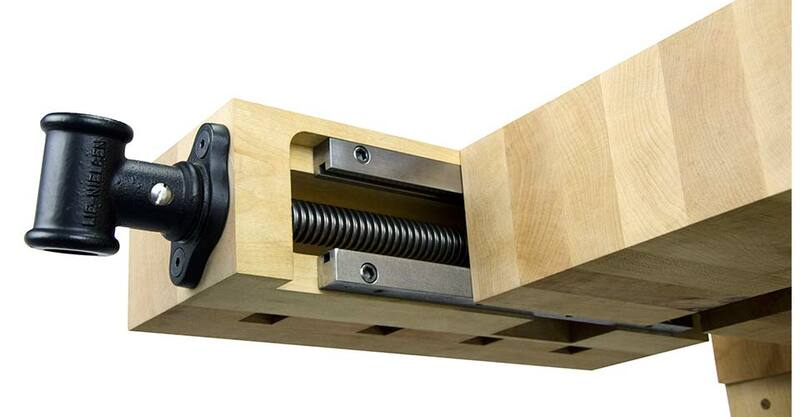 Click Here for Tail Vise Installation Instructions.